Chiropractic is a health care profession that focuses on disorders of the musculoskeletal and nervous systems, and the affects of these disorders on general health. Chiropractors have broad diagnostic skills and are trained to provide many forms of services. Chiropractics most common therapeutic procedure is an "adjustment". The purpose of this adjustment is to restore joint mobility by applying a controlled force into a joint that has become hypomobile. Dr. Taylor Anderson offers both traditional manual adjusting, as well as low force instrument assisted adjusting. It is recommended that if you prefer a certain treatment or technique, that you let Dr. Anderson know upon your arrival at Northeast Chiropractic. 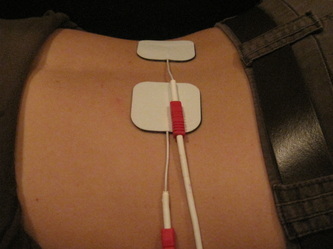 This technique uses an instrument to detect and "break-up" soft tissue adhesions (often referred to as "knots"). These adhesions often affect normal function and can result in headaches, pains, limited range of motion, and other various musculoskeletal conditions. I.A.S.T.M. may be used in conjunction with other chiropractic treatments to aide in the treatment of medial/lateral epicondylitis, neck and back pain, shoulder pain and rotator cuff tendonitis, IT band syndrome, carpal tunnel, plantar fasciitis, as well as other conditions.